If you are foreigner with a slightly American accent or are American-Iranian, you would be a rock star in Iran. During my last visit to Iran, I recall being elevated despite having limited ties to America. But who’d want to shun the attention? Every mother was trying to get me to marry her son and every person wanted to hang out with me and show me off to his or her friends. My half-brother even teased saying I have more friends (in Iran) than he did and he has lived in Iran all his life. What surprised me most was hearing a similar affinity for the USA from the younger diaspora in Europe. There is this sense, rather belief that America is good and their government evil for closing the country’s border to foreigners. During the 2009 Green Movement protests, the signs and slogans were visibly in English, which compared to the revolutionary slogans in the Arab world was clearly directed for the world beyond their borders (particularly their dream country). Some may argue that I am reading too much into this; I say we have to study all that is out there. You can sniff this love for America wherever young crowds assemble. The underground parties beat any party I have ever been to; they were wild! The DJ plays some chart toppers- Shakira, Rihanna, Black Eyed Peas, Li’l Wayne and an endless list of hip hop numbers. There is imported liquor (some of the best actually), recreational drugs, and dirty dancing. I am not making this up. I have never had so many night-outs. Over-ground activities include hanging out at parks into the wee hours of the morning, driving up and down some busy streets where kids in their flashy BMWs exchange numbers; I collected 4 in a half-hour. Let’s look at a parallel case, in India I was to be home before sunset and I would get into a soup if I even attempted to have a boyfriend. Need I say more? I enjoyed the Persian hospitality- yes, I was genuinely welcome for the most part. 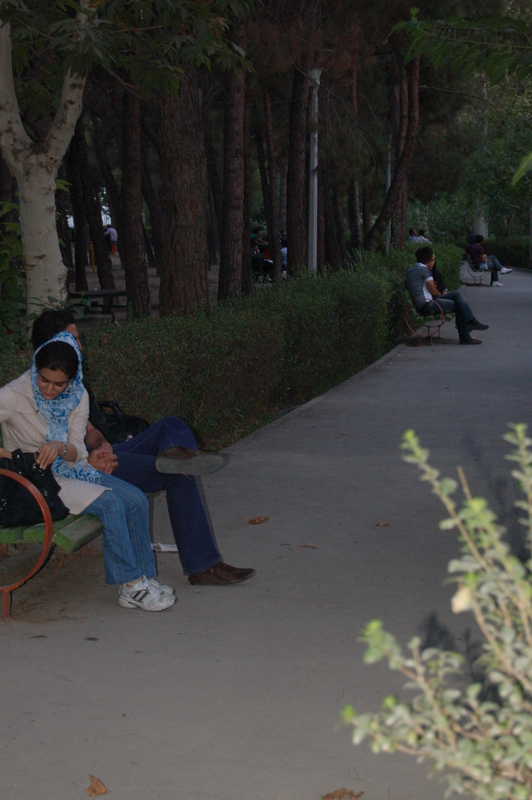 And then there were others- those completely blinded by the American dream that somehow has found its way to the streets of Tehran despite the sanctions and sterile relationship between the two nations. 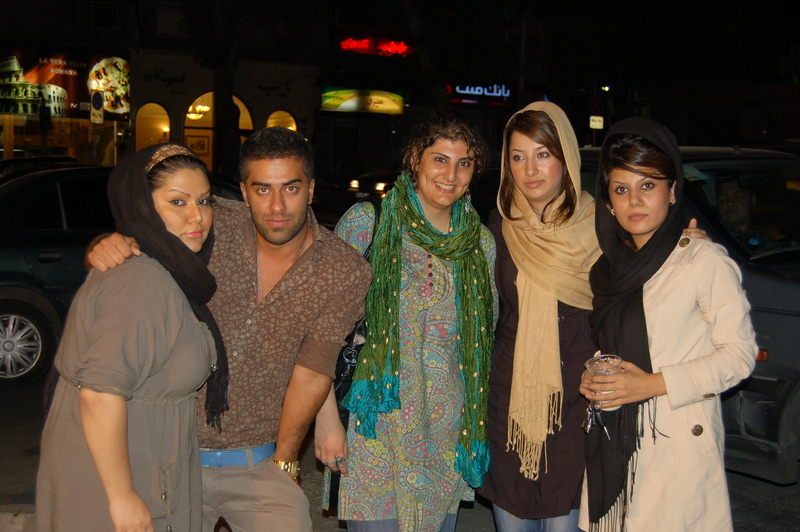 These included Iranians who treated me to expensive Italian cuisine, young ladies who I rode with to meet several of their boyfriends (all within a couple of hours), and those that took me shopping. I was amazed and concerned all at once. Amazed because of the level of economic and social freedom that these youth have (despite the constant complaints that they don’t), and concerned because the government’s unshakeable Islamic law was eroding the great Persia. Every one of the youths desired desperately to escape, from what, I am not sure. Those that had managed to get out, continued to defame of their country, Islam, and the government. This sparked a concern, that the glorious Persia, was losing its strength. At the end of my trip I concluded that many Iranians are willing to give up their luxurious life for a life of toil in America. Ask any one of them what they intend to do, when they arrive at their dream country, and there’s silence. They don’t know how hard you have to work to earn a day’s meal. In America they will not have their BMWs and Ferraris. They won’t have the warmth of the Persian culture. But yes, they will have freedom- freedom of the western kind which is so vague even for those who have known nothing else. I recall shedding tears at the Shah’s grave in Cairo, his vision for a glorious Persia, died with him.